Mirapuri is the humanistic-spiritual, european, free-consciousness City of Peace and Future Man in Italy founded by Michel Montecrossa on the basis of the worldpeace and progress ideals of Sri Aurobindo and Mira Alfassa – The Mother. Michel Montecrossa Cyberartist, CyberMusician and Futurist founded Mirapuri - the City of Peace and Future Man in Europe, Italy and its first satellite Miravillage in Germany, on behalf of Mira Alfassa - The Mother and with her encouragement, ideas and proposals for the realisation of the various social, economical, cultural and educational projects and activietes of Mirapuri and Miravillage. 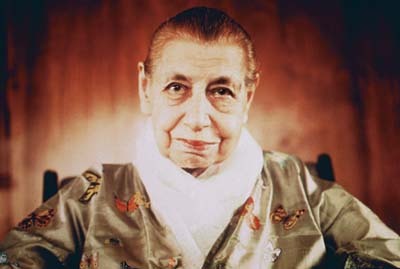 Mira Alfassa is the spiritual partner of the poet and mystic Sri Aurobindo. They both created the Integral Yoga, meaning: comprehensive (latin: integral) consciousness development (sanskrit: yoga). In Mirapuri and Miravillage people from all over the world live and work together for the realization of the Integral Yoga and the Ideals of Sri Aurobindo and Mira Alfassa: Peace, Love, Progress, Human Unity, Evolution into Future Man. Mirapuri is an entirely independent, non-sectarian and selfsupporting project. Mira Alfassa, in recognition of the artistic talent and capacities of Michel Montecrossa also asked him to establish Filmaur Multimedia in Mirapuri and Miravillage to preserve and release rare Film-, Photo- and Audiomaterial of herself and the work of Sri Aurobindo. She especially put Michel Montecrossa in charge of creating the 'Meditations on Savitri' movie series which she sees as her 'legacy for the world'. The Mirapuri Internetsite consists of a series of pages which present the life and work of Sri Aurobindo and Mira Alfassa - The Mother and all aspects of Mirapuri and Miravillage as an expression of the Integral Yoga and Ideals of Sri Aurobindo and The Mother. Many of the pages contain QuickTime-movies and soundfiles of Sri Aurobindo and The Mother as well as Michel Montecrossa, Mirapuri and Miravillage in addition to pictures and text. The Mirapuri Internetsite is constructed as a 'guided tour'. If you go to the end of this opening page you will find a blue button which will lead you to the next page - and so on. 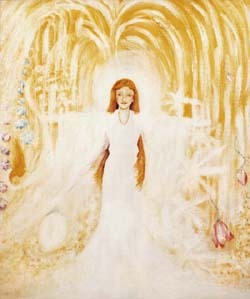 In this way you will be guided through all aspects of information related to Sri Aurobindo and The Mother, Michel Montecrossa, Mirapuri and Miravillage. With the help of the blue buttons you can go forward as well as backward page by page. In addition you will find at the end of each page a list of links to all pages of the Mirapuri Internetsite. If you click on any of the links you will come directly to the chosen page. AIM: Mirapuri in Italy as well as Miravillage, its first satellite in Germany, have been created for those who like Sri Aurobindo and Mira Alfassa – The Mother, the Integral Yoga and their ideals of human unity and consciousness progress. Mirapuri and Miravillage are environments where people from all over the world can live and work together for practising the Integral Yoga and realizing the Ideals of Sri Aurobindo and The Mother. HOW CAN I JOIN MIRAPURI AND MIRAVILLAGE: Everyone of goodwill who likes Sri Aurobindo and The Mother and their Ideals and wants to practise the Integral Yoga can join Mirapuri and Miravillage. RULES AND REGULATIONS: There are no rules and regulations except those active in the country (Italy, Germany). MONEY AND PROPERTY: There are no financial or other material obligations. If you want to live in Mirapuri or Miravillage you can do it on a private basis or, according to your own free decision, on a contributing basis. That means you can buy or rent your own house or apartment in the area, which then is your property or domain and stay independent and selfsupporting. Alternatively, but only if you freely decide yourself to do so, you can contribute financially to the growth of the general Mirapuri or Miravillage property. In this case Mirapuri and Miravillage provide accommodation and services for you during your life time in Mirapuri or Miravillage and the property belongs to Mirapuri or Miravillage and their future development. Whatever your decision may be makes no difference to the full acceptance as being a member of Mirapuri and Miravillage. WORK, INDIVIDUALITY AND EDUCATION: In Mirapuri and Miravillage everyone works and learns on a free and independent basis. Each individual contributes to the general life according to his or her goodwill. There are no communal obligations. The growth, respect and protection of individuality is the basis for the flowering of the community life of Mirapuri and Miravillage. 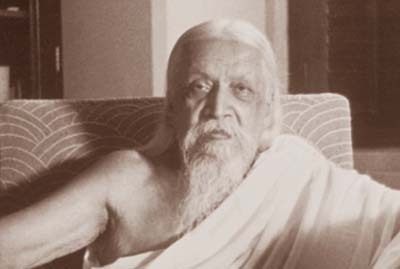 SPIRITUAL AUTHORITY: In relation to the Integral Yoga and the Ideals of Sri Aurobindo and The Mother everyone can turn to their writings, movies, pictures and soundrecordings for guidance and selfdevelopment. Besides that there is no institutional spiritual authority. Each individual follows its own spiritual and consciousness evolution according to its aspiration and inclination.